In this interview, Dr. Michael Nagler discusses his experience using 1-to-1 iPads in his New York school district. Dr. Nagler shares challenges and successes from four years of integrating technology in the classroom and offers advice on using iPads in education. 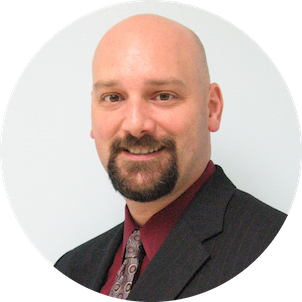 Dr. Michael Nagler has been an educator for over 26 years. Prior to his current role as Superintendent of Mineola Union Free School District in Long Island, Dr. Nagler was a teacher in New York City. He was instrumental in the decision to implement both iPads and eSpark into Mineola classrooms and has presented on this topic at previous NYSCOSS state conferences and BOCES regional meetings. 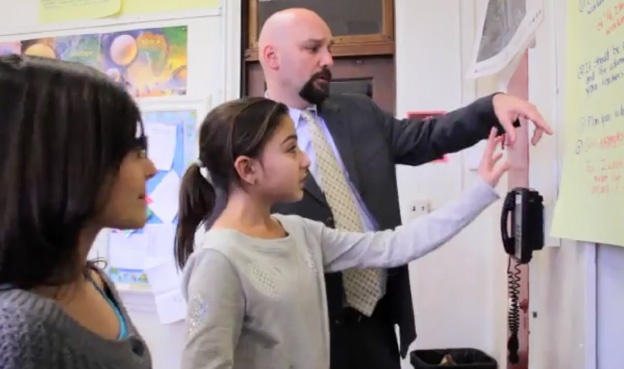 In 2014, his school district was accepted into Digital Promise's League of Innovative Schools. Q: Why did you choose iPads and eSpark? This idea started in 2010. We were one of the first districts to embrace iPads. We purchased 90 of them in one fifth-grade class in one building and quickly grew [the program] the following year. In 2012, we actually experimented with 200 netbooks to see what the difference was from a kid-perspective and an IT perspective, but it was resounding that the kids wanted iPads. Currently, we have 1200 iPads, and we recently won the Apple Distinguished School Award. You need a vision when you do anything with technology. In the beginning, our vision was to answer the question: “Do children working with iPads increase student engagement?” It was a fairly easy question to answer and it was a resounding yes. The second question was, “If a child uses an iPad, will we see an increase in student achievement?” This is where it gets a little murky to try to quantify. We have been able to achieve this with a lot of help from eSpark. "eSpark will scan the world of apps for you, find appropriate apps, and give every student the ability to engage in apps that are meaningful to their skills." The beauty of eSpark is that it personalizes the device. This is different from a lot of web-based programs where you log on and you only have what that company provides on the web. eSpark will scan the world of apps for you, find appropriate apps, and give every student the ability to engage in apps that are meaningful to their skills. I chose iPads and eSpark because I wanted to increase student engagement and achievement. iPads are by far the most engaging device for students. With iPads we can now personalize instruction, extend the classroom day, and change the way we teach and learn. Q: What excited you the most in using mobile technology in the classroom? I think the most exciting thing for me is that we believe in metacognition in kids. Kids have to know what they don’t know all the time. The whole notion of goal setting for children: if they don’t know what they don’t know, how are they supposed to know how to set a goal? Every child—kindergarten—I don’t care what age they are, can understand what they don’t understand and can work on those skills. And eSpark presents that. The first thing they do when they log into a quest is see the goal they are working on. This is an inference, this is a skill, this is a math problem. Whatever it is it tells them right up front: this is what this quest is about. And we’re going to give you a little quiz as you do the work to see if you’re understanding it and doing better in your goal area. That really puts the ownership back on the kids for their own learning. I think that is critical when you start to give the responsibility away from the teacher for student learning and start to put it back on the kid. You start to see a very interesting phenomena take place in classrooms. Q: How do you work with teachers who may be reluctant to change their teaching practices to integrate technology? Teachers are the most important factor in learning. A good teacher is worth their weight in gold. Teachers have to understand that technology is a tool to help them engage kids and to help kids learn the content that they want them to learn. We really focus all of our professional development on how to teach with the device as opposed to learning technology. That was a big step for our teachers. They understand that they don’t have to be experts. The kids don’t expect them to be experts. It’s a little different angle to look at it, but it’s incredible to see what happens to veteran teachers when they get comfortable with it. "We really focus all of our professional development on how to teach with the device as opposed to learning technology. That was a big step for our teachers. They understand that they don’t have to be experts." The other critical piece is that you should employ things that have dashboards. The whole premise of using technology is to make teachers' lives easier and not stress them out. Most products now come with a dashboard that gives the teachers a snapshot of their whole class. eSpark has a great one showing the quests and the different work that kids are doing. Q: What advice do you have for district leaders trying to get support from their school board? You can’t do anything without support from your school board, and outlining the goals are really critical. You want to outline what your goals are before you buy anything and have a method of measuring and assessing those goals. It’s not different from what we ask kids to do with progress and standards. We come right out and say, “we want to show that this will increase achievement when kids use it.” You better be able to show that. We recently had two administrators working on their dissertations trying to isolate the effect of the work that we give them on the iPad and increased student achievement. eSpark does that as well. They have their own data scientist that will go through your data and check that of you. We have had great success in demonstrating that students that work with technology, in our case iPads, will have greater achievement on varying levels. In our case we are able to say, “if you use it x hours, you’re going to get this kind of achievement. If you don’t use it, you’re not going to see as great of gains.” In our case, [we use] the NWEA. So I think that’s critical because the whole business of school boards is to promote positive experiences for kids and demonstrate that what they’re doing in their practices are yielding better results in the end.